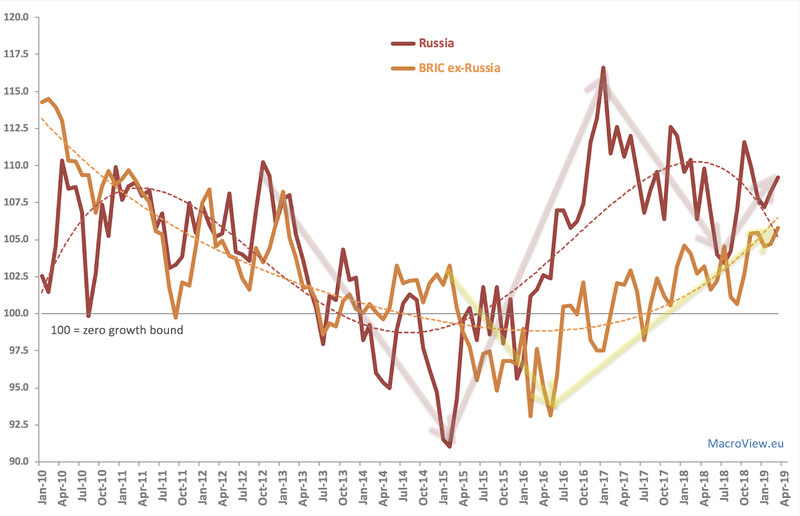 Monthly frequency trends for the BRIC economies' activity, based on composite PMIs. 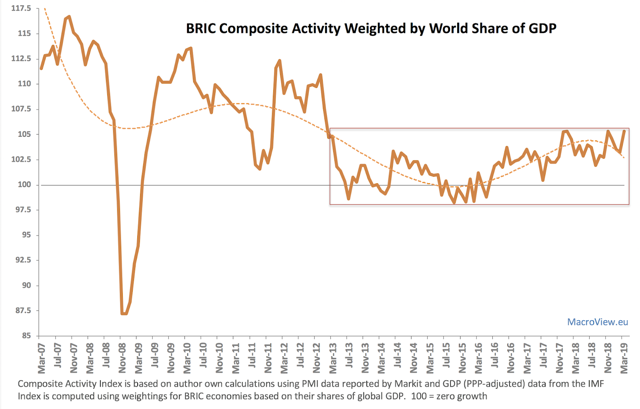 Overall BRIC activity as signalled by PMIs remains range-bound in the tight, low activity range over the last 6 years. However, the composite activity is running close to the upper bound of the range, implying overall stronger performance in the recent month. Overall BRIC activity as signalled by PMIs remains range-bound in the tight, low activity range over the last 6 years (second chart above). However, the composite activity is running close to the upper bound of the range, implying overall stronger performance in the recent month. This is confirmed by the first chart above, showing that both Russia and ex-Russia BRIC economies' activity is accelerating on trend since July 2018. More analysis based on smoother quarterly data forthcoming, so stay tuned.